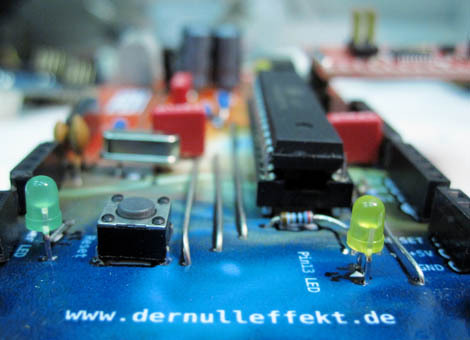 A MIDI to control voltage board. 2 DAC and 4 fast PWM. 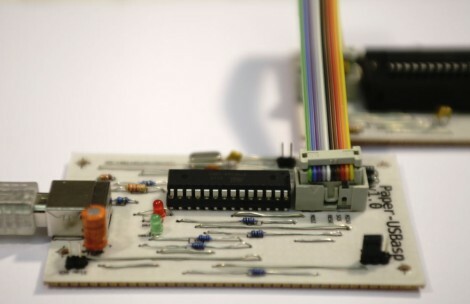 The wave shaper board for our PS110 Voltage Controlled Oscillator done in cooperation with Antti Pussinen. 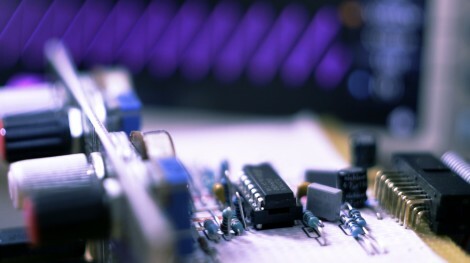 Paper Synthesizer 110 - Voltage Controlled Oscillator: The saw wave core for a one volt per octave analog oscillator. Plus the calibration keyboard. In cooperation with Antti Pussinen. OGG-Player-Board: A simple OGG-Player based on the VS1000 Audio Module. 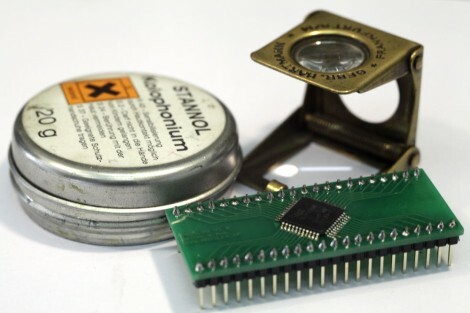 SMD Solder Manual: A small manual for SMD soldering. 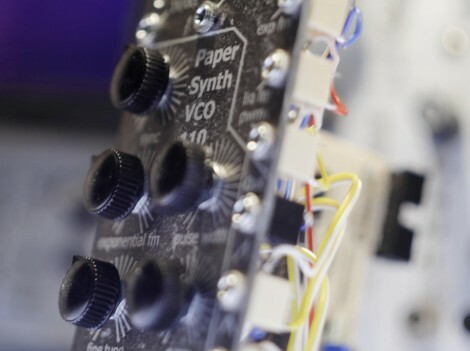 Paper-Synthesizer 100 - Hard-Sync-Oscillator: The first board of a modular Paper-Synthesizer. A project in cooperation with Antti Pussinen. 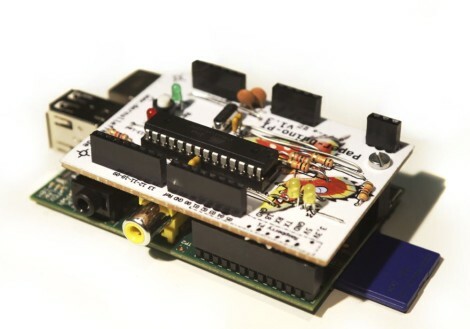 Paper-Duino-Pi: The new version 3.2 of the Paper-Duino-Pi is released. It comes with an additional shutdown and reset button on the GPIO pins. 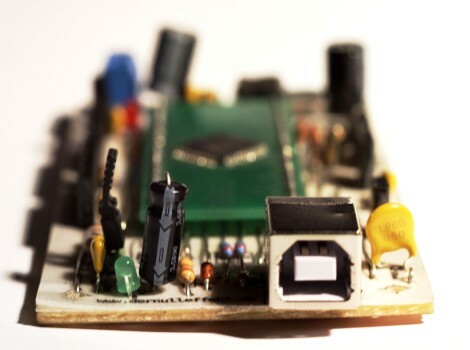 Paper USBasp: Use the paper USBasp programmer to burn Paper Duino and AVR chips. 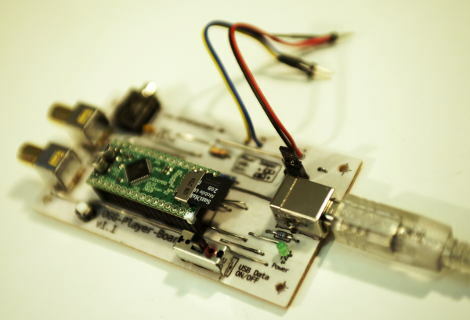 Paper-Leonardo: Paper-Leonardo is an Arduino clone with USB connection. Paper-Duino-Pi: Thanks to the Paper-Duino-Pi the Raspberry Pi as an all purpose artistic tool is now complete. 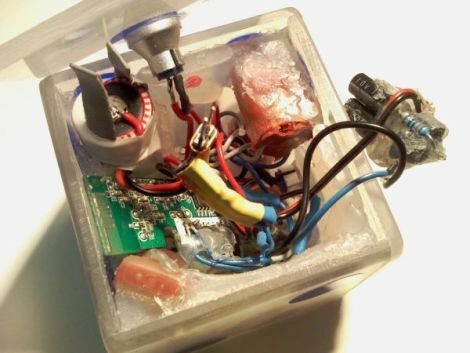 Paperduino-Uno: The Paperduino-UNO is an easy and cheap way to build your own Arduino UNO clone. Light-Type: A simple Keyboard hack that allows for typing with light.